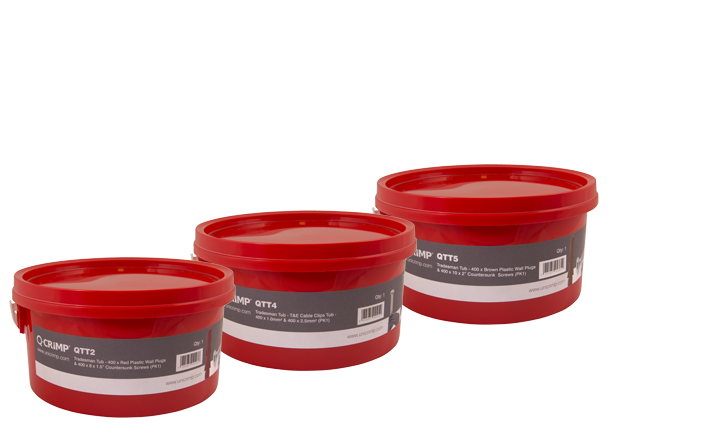 Introducing the NEW & IMPROVED tradesman tubs. 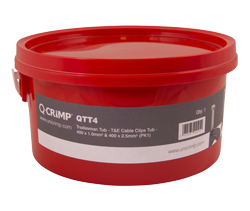 The Q-Crimp Tradesman Tubs offers an excellent range of fixings and clips in a durable, re-sealable plastic tub with a carry handle. The new robust tub design makes it an ideal product for any workman on the job.